face distinct challenges during rehabilitation, as they have to recover to a level of function much higher than the general population. Although the athlete may have regained full strength and range of motion after the injury, neuromuscular deficits may still exist, preventing the athlete from performing high level speed, power and agility tasks. At the conclusion of physical therapy, it is critical for the athlete to safely return to sport under the supervision of a licensed care provider. Jaguar Therapeutics offers return-to-sport physical therapy, emphasizing movements and skills required by the particular sport, to ensure the athlete is ready to resume normal training without risk of re-injury. With very unique training characteristics, athletes returning from injury must re-establish function and develop conditioning in order to safely return to sport. There is an extremely important 2-3 week window (based on the injury) during which an athlete must make the transition from clinical care to sports specific care. Jaguar Therapeutics specializes in taking you through this transition process. Our functional assessment and drill-based rehab is designed to mimic your sport variables. This will progressively overload your body, thereby enabling it to withstand the stresses of rigorous competition. The athlete can return to sport confident, aggressive and at full strength. Jaguar Therapeutics’ methods are derived from a sports medicine model which is based on scientific research, injury prevention, and fitness enhancement. We aim to correct the most fundamental movement patterns. 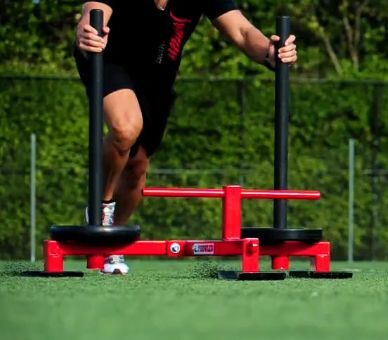 When these patterns and imbalances are corrected, the body will be more efficient and productive in utilizing strength, power, and agility from the gym back to sport. Most athletes, unaware of technique flaws and joint imbalances, experience undue fatigue and repeated injuries. Our therapists understand the importance of performance. We analyze these flaws and incorporate rehab-based strategies to improve current injuries and prevent further injuries. Jaguar Therapeutics’ ACL Rehab and Prevention Program utilizes a unique Active Dynamic Warm-Up and movement pattern analysis to implement a strategic sequence of exercises and movements. Based on our experience this will decrease the number of non-contact ACL injuries incurred by all athletes. The Active Dynamic Warm-up is a highly specific 12-minute training session that replaces the traditional warm-up. The routine strategically progresses all movements and focuses on increasing blood flow, lengthening soft tissue, and “tuning” the neurological firing patterns of all key muscle groups. While each athlete is going through this routine we are consistently educating players on key strategies to avoid injury. Jaguar Therapeutics’ Rotator Cuff & Overhead Throwing Program is designed to gradually and progressively return motion, as well as improve strength and confidence in the throwing arm. All of these are key factors when returning from injury or surgery. Instruction in proper throwing mechanics with progression into a monitored interval-throwing program is key to progressing the athlete safely. After these two series are completed and progressed the athlete will be prescribed an individual program.